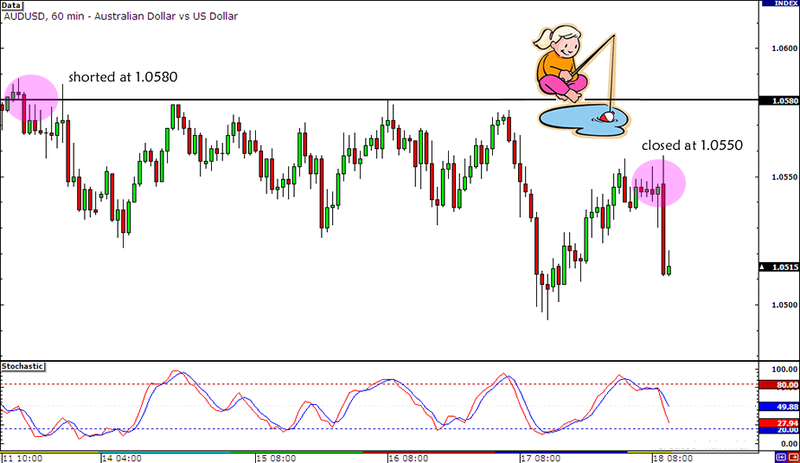 First Trade for 2013: AUD/USD Swing Short – First Win for 2013! After staying stuck between the 1.0550 and 1.0580 areas for a long period of time, I decided to take my cue from the Chinese data dump this week. So when my Twitter friends and I found out that China’s GDP, industrial production, and retail sales ALL exceeded expectations, I decided to close my trade for a small profit. Remember, AUD/USD rose by almost 50 pips when China’s trade balance data surprised to the upside! Right now AUD/USD is a bit below my exit level (1.0549) but I think that the Aussie could see some buyers in the U.K. session once the buy-the-rumor-sell-the-news action dies down. At least I hope it does! Otherwise I would feel bad about my missed profits. But hey, at least I stuck to my trading plan, right? A 30-pip gain (0.20% of my account) is not too bad for my first trade this year. 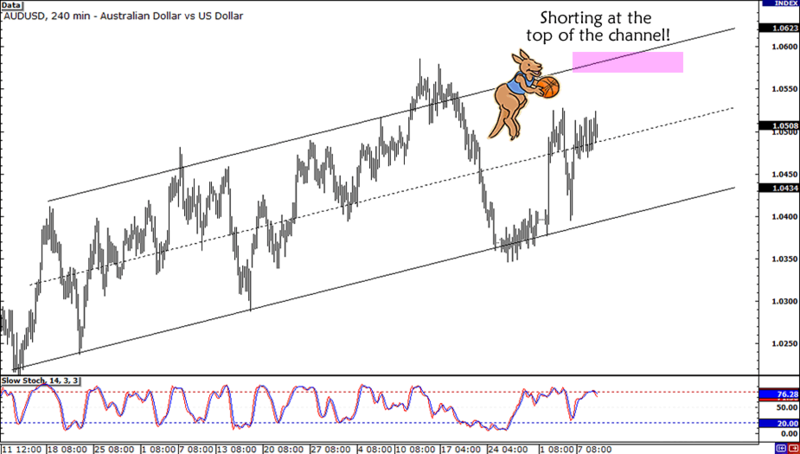 The question is, will my lucky strike spill over to my NZD/USD trade? How about you? Did you trade the Chinese GDP release? If you did, what happened to your trade? Thanks to China’s better-than-expected trade balance data, the Aussie bulls got excited enough and pushed AUD/USD all the way to my entry orders at the 1.0580 area. But will the rising channel resistance hold? Right now the 1.0600 handle is doing a great job as a resistance for the pair as it held even after the release of the slightly stronger-than-expected Chinese inflation numbers. Only the U.S. trade numbers are due to print today, so if nothing big comes out from the euro zone, I expect the channel resistance to hold. In any case, I’m planning to watch the pair closely. I’ll probably move my stop to break even if AUD/USD reaches the 1.0500 area or cut my losses early if a big news report pops up and boosts the comdolls. What do you think of my plan? Do you think that the 1.0600 handle will hold until next week? You’re more than welcome to share your thoughts! I’m kicking the year off with a swing trade on AUD/USD! I’m planning to short the pair right on the 1.0580 long-term resistance level, which has been holding like a boss since August last year. On top of that, this resistance area is right in line with this week’s top WATR and the top of the channel on the 4-hour time frame. As for fundamentals, I’m thinking that weak data from the Land Down Under should keep this pair under the 1.0600 handle for the near term. Just recently, Australia printed a wider trade deficit and weaker than expected retail sales. Besides, there hasn’t been any significant boosts to risk appetite lately, which means that a break above the 1.0600 mark might be unlikely. Short AUD/USD at 1.0580, stop loss at 1.0640 (above the September 2012 spike), initial profit target at last week’s low of 1.0400. Of course I’ll be keeping close tabs on the U.S. earnings reports as these could have an impact on price action. I’ll also consider adding to my position and trailing my stop if price breaks below 1.0400. 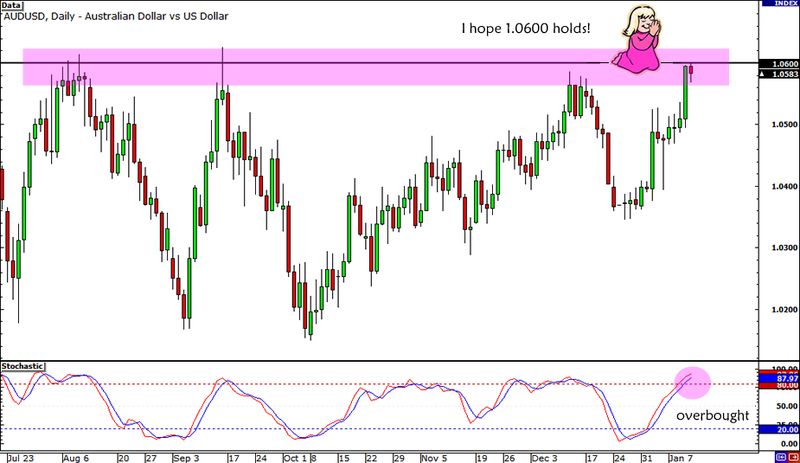 Do you think I’ll be able to start 2013 on a good note with this trade idea? Share your thoughts with me! Be part of my Google+ circle!